The Association of Catholic Colleges and Universities seeks to provide timely, reliable, useful, and thought-provoking information about Catholic higher education. Visit our online store to browse our titles and see what's new. PLUS: Find out more about the Journal of Catholic Higher Education, our semi-annual, peer-reviewed journal; and our quarterly member newsletter, Update. Use this clear and concise workbook across your campus to help you better understand assessment domains that are unique to Catholic higher education. Each of ten domains — including mission integration, leadership and governance, service to the Church and the world, and more — is defined, discussed, and accompanied by guiding questions. A complement to ACCU's Catholic Identity Mission Assessment project, the guide is available for purchase in packages of 10 to promote sharing. The guide is also provided for free to institutions that sign up for the CIMA project. With the growing number of Hispanic/Latinx Catholics in our country, it is a gospel imperative that we welcome all and honor their religious traditions. 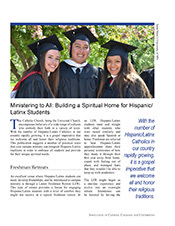 This publication suggests a number of practical ways that your campus can integrate Hispanic/Latinx traditions in order to embrace all students and provide for their unique spiritual needs. This new document focuses on the distinct aspects of the presidential search process at a Catholic college or university. Essential reading for trustees, search committees, and search firms! Looking to better understand the Catholic Intellectual Tradition? Learn about 9 core principles – including faith and reason, the power of beauty, and the dignity of the human person – and how the richness and diversity of Catholic higher education bring them to life. Whether your work centers on the social sciences, natural sciences, or other discipline, The Catholic Intellectual Tradition: Core Principles offers a framework for deeper fulfillment and meaning. Quantity discounts available! Please note that the printed edition of this publication is out of stock, but it may be purchased as a PDF. Principles of Good Practice for Student Affairs in Catholic Higher Education. This second edition offers an overarching vision of student affairs at Catholic colleges and universities; includes diagnostic questions for each of the 8 principles. Purchase 20 or more copies for your campus and receive a 15% discount! 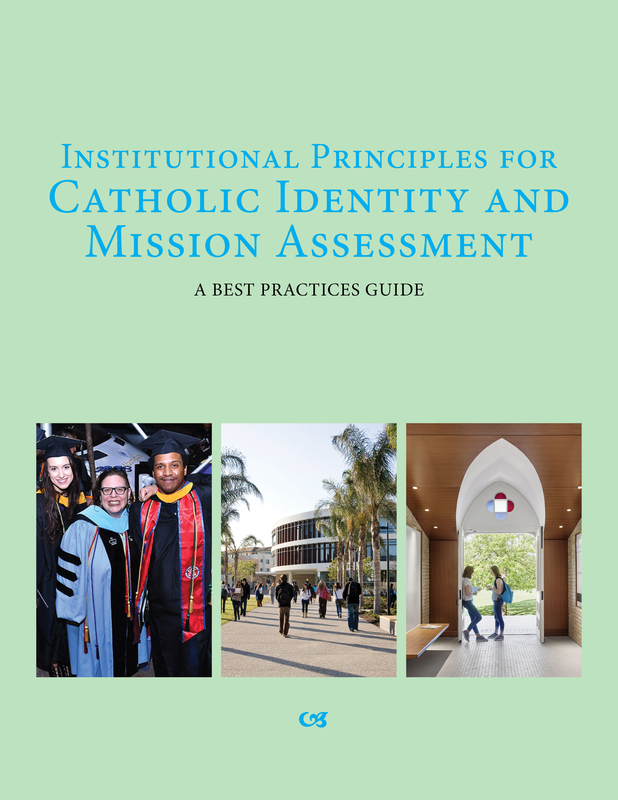 This book is designed to be a foundational text for student life practitioners at Catholic colleges and universities, examining what it means to integrate Catholic identity and university mission into the work of student affairs professionals. It includes theoretical, reflective, and practical perspectives. This first volume of A Mission Officer Handbook contains wisdom and insights from 40 authors on the role of the mission officer and effective practices used at Catholic colleges and universities to advance mission and identity. This invaluable guide addresses the numerous and varied roles of the mission officer as they relate to collaboration with those inside and outside the campus. Authors focus on ways for the mission officer to collaborate and animate mission within academics, student and alumni affairs, campus ministry, the community, and more. In addition, a section is dedicated to mission accountability, a contemporary issue for every higher education institution looking to renew its accreditation.